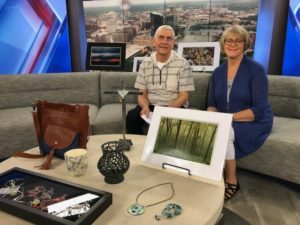 2018 Art in the Park features over 40 Michigan artists on Saturday, September 9, from 9am to 5pm in Rockford’s picturesque Garden Club Park next to the Rockford Dam. 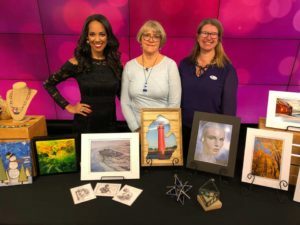 The juried show features 60 Michigan artists and artisans who will be selling jewelry, paintings, photography, pottery, leather goods, home decor and more. 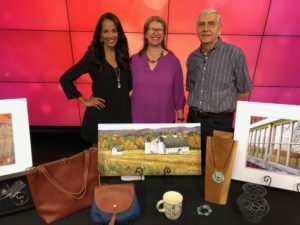 RRAA members will be featuring one-of-a-kind paintings, photographs, mixed media, fiber, jewelry and more. 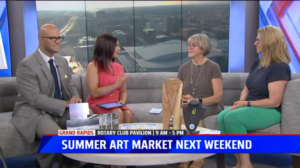 The art market will be held at the Rockford Rotary Pavilion in lovely downtown Rockford, Michigan. See Facebook for more information. We thank you in advance for your support of the arts in the Rockford area. RRAA relies heavily on donations and volunteers... without them we couldn't exist at all. All donations, large or small, are gratefully appreciated, whether monetary - or in the form of services provided. Monthly membership meetings are held second Tuesday of every month. All Members (and the public) are welcome to attend.